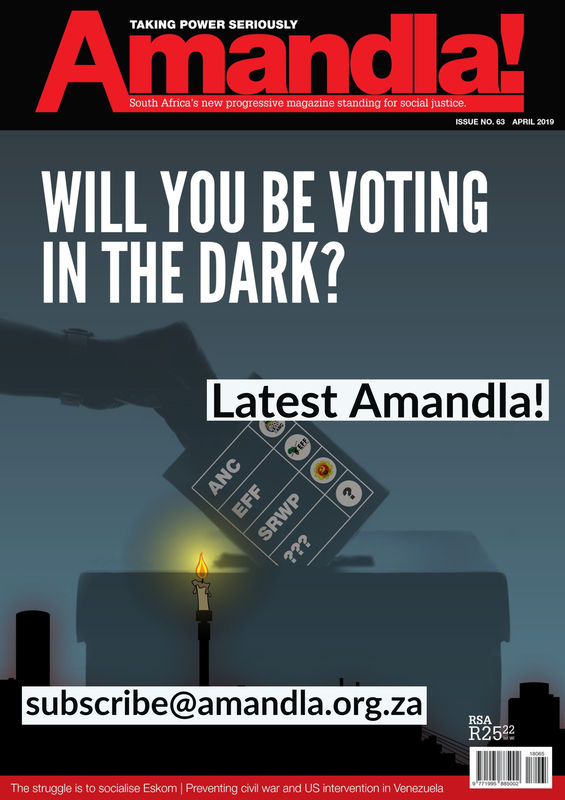 Home › Amandla › Can the ICC prosecute Tony Blair and others who can still evade prosecution today? 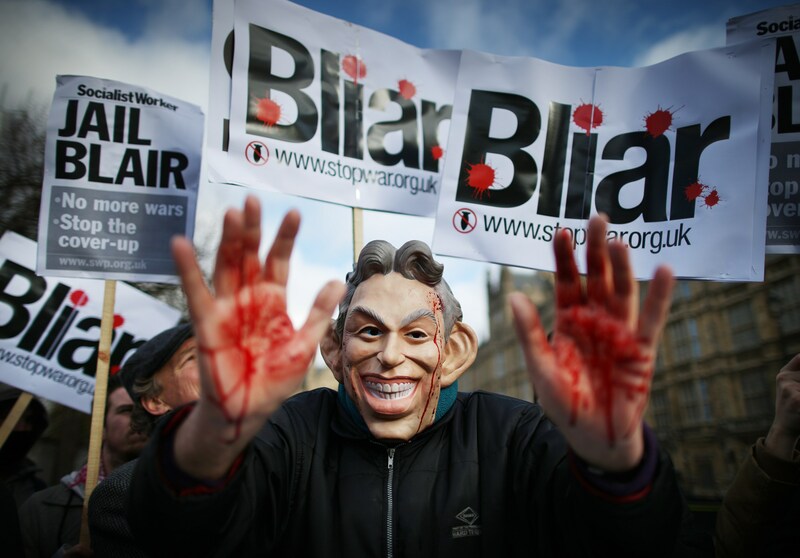 Can the ICC prosecute Tony Blair and others who can still evade prosecution today? Following up the article about South Africa leaving the ICC which AIDC published in the newsletter I followed up on the discussion of “Why Tony Blair (and other so-called western leaders) haven’t been charged with war crimes?” This question always comes up when you’re trying to explain that leaving the ICC is the worst thing a member country can do, instead world public has to fight for the inclusion of prosecution of “acts of aggression” into the ICC rules. 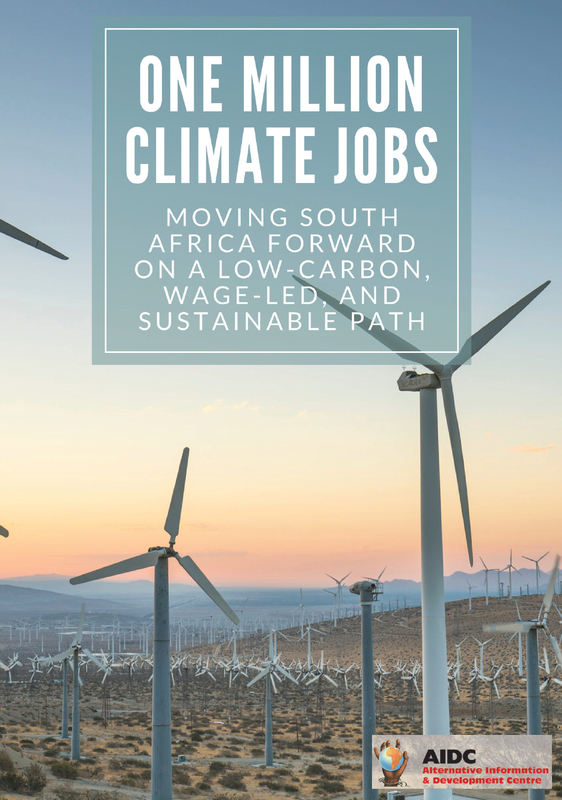 Out of some lengthy articles I read on the subject I put together the below “paper” – in fact it is just a summary of what has been written in the articles; maybe the summary helps to advance in the discussion to put forward the view not to leave this most important international organ of justice but to broaden and support it much more then in the past. Because the idea of the ICC can only survive with the world public supporting it. There are many who dream of the day when former British prime minister Tony Blair faces a panel of judges and answers to allegations that he was responsible for war crimes in Iraq. There are dozens of memes with Blair’s face behind bars or his mug plastered on ‘most wanted’ posters. There’s even a placard that reads “Tony2012”, a play on Invisible Children’s Kony2012 campaign to hunt Joseph Kony, the notorious leader of the Lord’s Resistance Army and himself a target of an arrest warrant from the International Criminal Court (ICC). The truth is that the world is closer to prosecuting powerful Western leaders for abuses of power than ever before. But could the ICC truly be willing and able to prosecute someone like Tony Blair? If you ask UK opposition leader Jeremy Corbyn or former Scottish National Party leader Alex Salmond, the answer is yes. 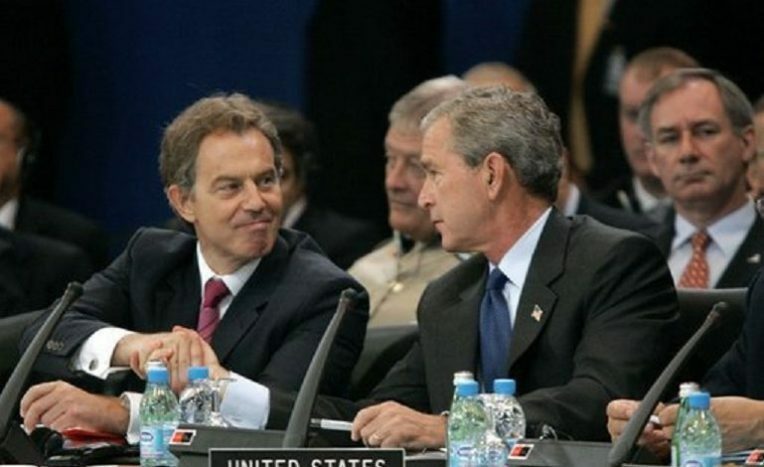 In recent days, both have intimated that Blair should face prosecution in The Hague. Corbyn, who was derided by his predecessor, Blair, before emerging as the leader of the Labour Party, has declared: If [Tony Blair has] committed a war crime, yes. Everyone who’s committed a war crime should be [charged]… I think it was an illegal war. I’m confident about that. Indeed, Kofi Annan confirmed it was an illegal war, and therefore he has to explain to that. Salmond has made similar remarks, arguing that if there is a: Causal link then that would in my view provide the body of evidence, and therefore it would be up to a group of citizens to take this evidence to the Office of the Prosecutor of the ICC and ask him or her to investigate… My own view is the ICC is a better route. And what would be the crime? The crime would be the crime of aggression. In the lead-up to the long-awaited Chilcot report, the International Criminal Court (ICC) publicly declared that they will not pursue war crimes charges against its primary subject, former Prime Minister Tony Blair. This decision has been met with outrage from countless angles. The pacifist left is horrified that there will be no consequences for a man who lied as loudly and proudly as George W. Bush and led his country needlessly to a war that killed at least 150,000 civilians, displaced nearly 2,000,000 more, killed thousands of UK, US and Iraqi troops and directly led to the destabilization of the Middle East that allowed the rise of IS and, indirectly, to the global refugee crisis. More patriotic poppy-wearing types are (reasonably) disgusted that soldiers will be considered for war crimes trials while the man who sent them to war will walk away not just free but famous and rich. Everyone is outraged with the ICC, and the middle ground is held by a faction furious about both. In fact, the only elements who seem pleased with the decision are militaristic anti-internationalists who oppose the existence of international courts in the first place. The ICC has long been seen by the public at large as an imperfect but necessary tool of international justice. It sits in the background, threatening world leaders not to overstep their bounds, keeping the world order ostensibly safe in the minds of public supporters of liberal democracy. But every time the court makes any kind of decision whatsoever, from the decision to halt their investigation in Darfur to acquitting the leader of the National Integration Front of the Democratic Republic of the Congo to the court’s Yugoslav Tribunal’s light sentence visited upon Bosnian Serb leader Radovan Karadzic, this illusion is shattered. The ICC is, additionally, deeply colonialist in practice, despite the inclusiveness of its construction. 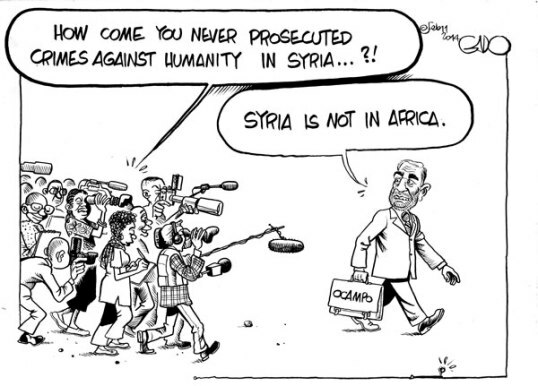 In its 20 years of existence, the ICC has opened investigations into 10 conflicts, 9 of which were African. From these investigations, arrest warrants have been issued to only 31 people, every single one of them African. Additionally, every single ICC field office is in Africa, with only the HQ in Europe. The ICC has only ever issued 4 verdicts: 3 were guilty, one had the charges dropped. But neither the colonialism nor our disappointment is the fault of the ICC itself. The Court is quite honest about its own limitations, declaring on its web page “As a court of last resort, it seeks to complement, not replace, national Courts. Governed by an international treaty called the Rome Statute, the ICC is the world’s first permanent international criminal court.” It most certainly can’t replace the courts of those countries who sit on the United Nations Security Council, who control the ICC’s budget and exert outsize political control over their actions. Yet, while there is a wide consensus that the invasion and occupation of Iraq were illegal, it does not follow that Blair can be prosecuted for it. What Salmond and Corbyn are describing isn’t a war crime. It’s the crime of aggression — a crime that the International Criminal Court does not (yet) have jurisdiction over. The Court may be able to prosecute the crime of aggressive war in 2017, at the earliest, when it has been defined by its own working group. But even when that transpires, the invasion of Iraq will be excluded from its remit because of when it took place. But doesn’t the Nuremberg Judgement of 1946 exist to fill this gap? Going to war to change another country’s regime is prohibited by international law, while the Nuremburg judgment of 1946 laid down that “to initiate a war of aggression”, as Blair and Bush clearly did against Iraq, “is the supreme international crime, differing only from other war crimes in that it contains within itself the accumulated evil of the whole”. The US was actually a signatory to the Rome Statute until George W. Bush withdrew the country in May 2002, a questionably short time before the invasion of Iraq. The strength of American opposition to the court got progressively stronger as the invasion of Iraq grew nearer, and in August 2002 Bush signed a law that permitted American forces to invade The Hague if an American (politician or military serviceperson) or American-allied citizen (read: NATO member states, especially British) was ever brought there against their will. Despite his internationalist rhetoric, the Obama administration has not reversed either of these decisions. So, Americans can’t be tried, and the protection extends to the British. The ICC is very honest about their limitations, and long-term observers and activists know that it’s not the Court’s fault. Yet we spew our vitriol at the ICC when it is the American and British public, who are at fault for allowing this governing system of global Anglophonic imperialism to reign. It is them who simply take at face value the concept that the ICC has any effect whatsoever on acts of international aggression despite the Court telling us outright that this is outside its purview. The rage over the decision not to try Tony Blair is in fact rage over our own ignorance. If we desire anything more from international justice than a colonial show trial, it is on us to ensure that we overhaul our own nation’s approaches in that direction. But in this very moment, we might actually have the power to do so. The White Supremacy of the concept that Africans can be war criminals but that “The West” only engages in “Just Wars” for the “the greater good” is embedded within international legal frameworks to allow the transatlantic alliance to literally get away with murder, and this supremacy is a keystone of American and English exceptionalism. There is still hope ahead however. The creation of national tribunals in the UK and US to deal with the international war crimes of their countries’ leaders with the provision that, in the event of a guilty or not-not-guilty verdict these leaders would be sent to the Hague to face international charges. The setting up of national arrest committees in countries which, unlike Britain, have incorporated the ‘Crime of Aggression’ into their domestic law. These committees would exchange information with one another and make sure that Blair and others like Henry Kissinger “would have no hiding place”. And a strengthened transatlantic commitment to the ICC itself, allowing it to tackle its own lopsidedness by trying American and British citizens. These tribunals should exemplify not just Abu Ghraib and soldiers but also diplomats and politicians against whom war crimes charges have been proposed, such as Henry Kissinger and Madeline Albright. If you’re dissatisfied with double standards in international justice, don’t whine about the ICC. The only way change will come is if you take action at home, within the heart of the empire. The focus should also be on the ICC’s ongoing preliminary examination into alleged abuses in Iraq — and, crucially, the UK’s response to it. While (former) Prime Minister David Cameron has shown signs of being increasingly hostile to the civil society organizations that send evidence of alleged abuses to the Court, the British government is investing heavily in satisfying the ICC that it can and will prosecute those responsible for war crimes in Iraq itself. It is doing so primarily through the so-called Iraq Historic Allegations Team, a 145-person strong organisation “set up to review and investigate allegations of abuse of Iraqi civilians by UK armed forces personnel in Iraq during the period of 2003 to July 2009”. As for the ICC, it has been clear in its preliminary examination reports that the UK must demonstrate such willingness. If it doesn’t, the Court will have no other choice but to proceed to an official investigation. This is, emphatically, not what the ICC wants. Ideally, two things would happen: first, the institution would avoid any kind political or legal show-down with one of its most important and powerful supporters; and second, some senior British officials would be held to account, allowing the ICC to claim that its policy of “positive complementarity” is alive and well and that it galvanised domestic justice for abuses in Iraq. Notably, that is unlikely to include Blair. His name was not raised by the legal organisations that successfully pushed the ICC to (re)open a preliminary examination in 2014. Iraqi victims and survivors of abuses at the hands of Western officials and citizens deserve justice. The ICC and the UK’s response to the Court’s preliminary examination may or may not bring them a degree of accountability. At the very least, they stand a chance. In the past week, Burundi and South Africa have joined Namibia in declaring their intention to withdraw from the jurisdiction of the International Criminal Court (ICC). They are likely to be followed by a parade of other African countries, jeopardizing the future of an international court that has prosecuted 39 officials from eight African countries but has failed to indict a single person who is not African. Ironically, African countries were among the first to embrace the ICC, so it is a striking turnaround that they are now the first to give up on it. But it is the United States that has played the leading role in preventing the ICC from fulfilling the universal mandate for which it was formed, to hold officials of all countries accountable for the worst crimes in the world: genocide; crimes against humanity; and war crimes – not least the crime of international aggression, which the judges at Nuremberg defined as “the supreme international crime” from which all other war crimes follow. The U.S. has not only refused to accept the jurisdiction of the ICC over its own citizens. It has gone further, pressuring other countries to sign Bilateral Immunity Agreements (BIA), in which they renounce the right to refer U.S. citizens to the ICC for war crimes committed on their territory. The U.S. has also threatened to cut off U.S. aid to countries that refuse to sign them. The BIAs violate those countries’ own commitments under the ICC statute, and the U.S. pressure to sign them has been rightly condemned as an outrageous effort to ensure impunity for U.S. war crimes. To the credit of our international neighbors, this U.S. strategy has met with substantial resistance. The European Parliament overwhelmingly passed a resolution stating that BIAs are incompatible with E.U. membership, and urged E.U.- member states and countries seeking E.U. membership not to sign them. Fifty-four countries have publicly refused to sign BIAs, and 24 have accepted cut-offs of U.S. aid as a consequence of their refusal. Of 102 countries that have signed a BIA, only 48 are members of the ICC in any case, and only 15 of those countries are on record as having ratified the BIAs in their own parliaments. So current U.S. policy is a cynical betrayal of the work and wisdom of past generations of Americans, as well as of countless victims all over the world to whom we are effectively denying the protections of the U.N. Charter, the Geneva Conventions, the U.N. Convention on the Rights of the Child and other multilateral treaties that our country ignores, violates or refuses to ratify. A bloody Dissgrace and now talk about bringing soldiers to court A law for the Tich s law for the poor always has been always will be this Blair is having a laugh!